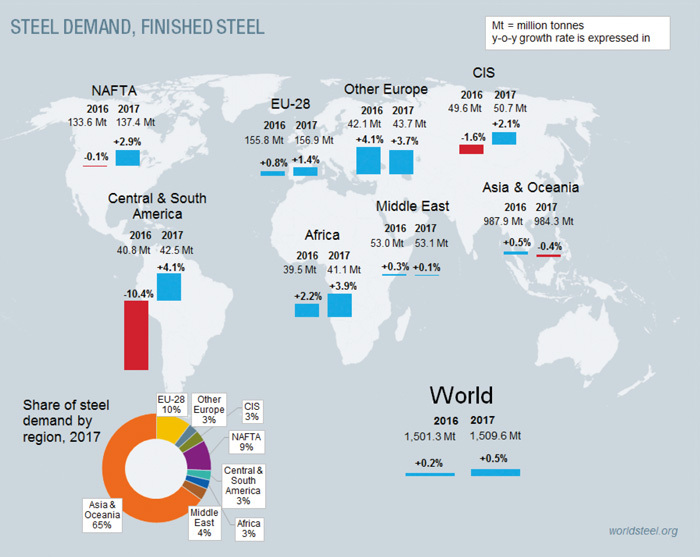 The World Steel Association (worldsteel) released its Short Range Outlook (SRO) for 2016 and 2017. worldsteel forecasts that global steel demand will increase by 0,2 % to 1501 Mt in 2016, following a contraction of –3 % in 2015. In 2017, it is forecast that global steel demand will grow by 0,5 % and will reach 1510 Mt. 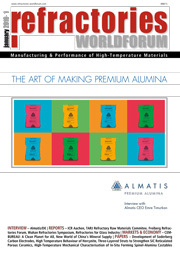 The International Aluminium Institute (IAI), the Global Association of Aluminium Producers, and the Aluminium Stewardship Initiative (ASI), a multi-stakeholder organisation with the mission to foster responsible production, sourcing and stewardship of aluminium, signed a Memorandum of Understanding (MoU) to collaborate in their respective efforts to support continuous improvement in the performance of the global aluminium industry and the sustainable use and recycling of its products. Blastcrete Equipment Company/US introduces a dust suppression system that limits silica dust exposure in industrial, construction and mining applications. The DREAM project, supported by the EU program Horizon 2020 for Research and Innovation has officially started at the beginning of October with its kick off meeting held in Brussels/BE. DREAM, acronym of Design for Resource and Energy efficiency in ceramic kilns, put together some of the main European players in the field of technologies for the ceramic industries and aims at developing an innovative approach to kilns for ceramic production. 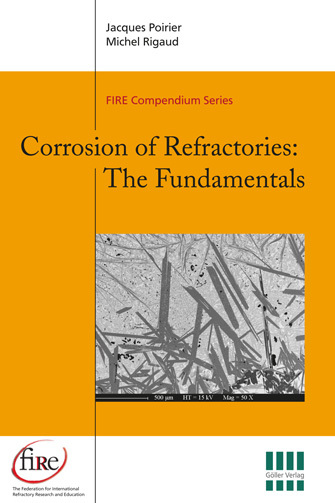 Wear by corrosion of refractory materials remain a major concern for plant operators, manufacturers of refractories, installers and refractory engineers involved in R&D and Education in this field of expertise. The entire subject will be covered in within three volumes. The other will present an in-depth compilation of the major testing tests and characterization methods (volume 2B) and the impact of corrosion on plants availability and products quality, revealing what can be learned from post-mortem analysis, through pertinent case studies (volume 2C). The Kerneos subsidiary based in Norfolk Virginia, USA, has recently acquired land adjacent to the North American operations. This expansion will allow Kerneos Inc. to enlarge its industrial footprint with a fusion furnace and extend the local production to all products in the future, complementing the already existing operations, while re-inforcing its service and proximity to American customers. The 15th Conference and Exhibition of Euro­pean Ceramic Society – ECerS 2017 will be held in Budapest/HU instead of Istanbul/TR between 9–13 July 2017. For the first time in its history, the ECerS Conference will be organised jointly by two member soci­eties, namely the Turkish Ceramic Society and the Hungarian Scientific Society of the Silicate Industry. Niclas Sjöberg replaced Egil Friestad who after a long and faithful service decided to resign as CEO since 1 September 2016. RHI and the controlling shareholders of Magnesita, GP and Rhône (Magnesita’s Controlling Shareholders), communicated on 5 October 2016 that they have reached an agreement to combine the operations of RHI and Magnesita to create a leading refractory company. 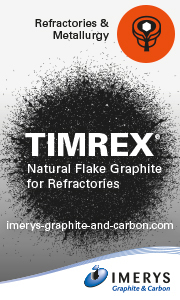 A Joint Venture in Namibia forms a core part of Imerys Graphite & Carbon’s growth strategy to increase natural graphite supply capacity. The 60th International Colloquium on Refractories – ICR will be held 18–19 October 2017 at EUROGRESS in Aachen/DE under the motto “Supplier Industries enabling Refractories”. Hannover Messe Ankiros Fuarcılılk A.S. brings together at ALUEXPO all suppliers, producers and buyers of the aluminium sector under the same roof being an important attraction for local and international visitors since 2009 with the support of TALSAD – Turkish Aluminium Industrialists Association, TUBITAK MRC – Scientific and Technological Research Council of Turkey, Marmara Research Center and by UCTEA – Chamber of Metallurgical and Materials Engineers. Dalmia Bharat Group has announced the appointment of Jorge Irusta as Executive Director – Steel Business Unit, under its refractory business. In a report published under the title “European Cement and Climate. A business risk analysis”, InfluenceMap negatively and inaccurately describes some of the advocacy activities of the European Cement organisation, CEMBUREAU.